Glasgow is now a world-leading smart city. Scotland’s biggest city is to reap benefits worth nearly £150 million. 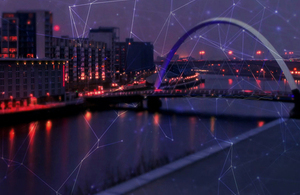 It follows a £24 million investment from the UK government into digital infrastructure and open data, making Glasgow a world-leading smart city. The £24 million invested in the city since 2013, through Innovate UK, funds projects that connect the city together and help Glasgow save money and energy and develop the technologies of the future. "This fantastic return on investment demonstrates that targeted funding from the UK Government can lead to great results, benefiting businesses, visitors and communities. "Projects funded through this program demonstrate the innovative ways that modern technology and data can be used to make a tangible difference to the lives of people in cities across the world." Projects funded so far have reduced energy costs in the city through intelligent street lights that adapt to people’s activity; created apps that give visitors and residents the open to plan their routes; and combined multiple separate city systems to allow teams to work on projects that cross multiple different disciplines.